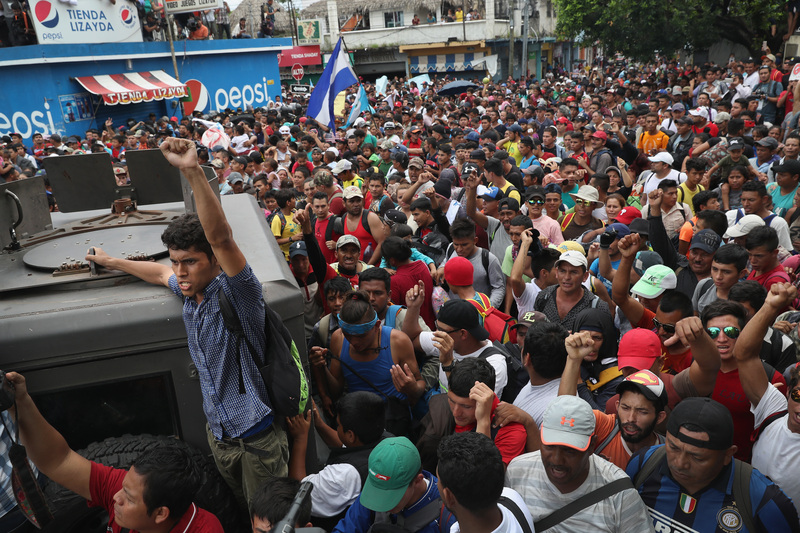 NBC reporter Gadi Schwartz published statistics Monday night revealing there are more than three times as many men as there are women in the migrant caravan at the U.S.-Mexico border. Schwartz provided an official count of the gender breakdown in the main migrant shelter, revealing that there are more than three men to every woman or child in the shelter. Members of the media and Democrats have accused the Trump administration of targeting primarily women and children on the border with tear gas, even though the majority of the migrants are men and some migrants attacked border agents with rocks and other projectiles. The vile a-hole who fires teargas at women and children fleeing poverty and crime is our president… for now. He and most of his supporters are the worst of us; not the most of us.